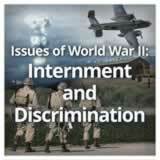 Students consider how they might respond if they were on a home front in wartime. Then, they investigate the details of WWII home front activities, including the economic effects of the war on the home front. 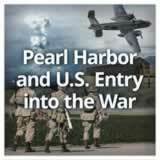 Next, they learn about the role of the Office of War Information and analyze its propaganda work. Finally, they study biographical materials on First Lady Eleanor Roosevelt and her home front activities. 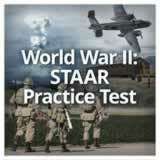 In this experience, students consider how they might respond if they were on a home front in wartime. Then, they investigate the details of WWII home front activities, including the economic effects of the war on the home front. 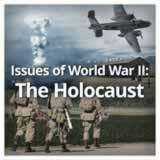 Next, they learn about the role of the Office of War Information and analyze its propaganda work. Finally, they study biographical materials on First Lady Eleanor Roosevelt and her home front activities. 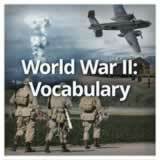 Describe life on the U.S. home front during World War II. Identify the contributions of Eleanor Roosevelt. Wars are not fought just on the battlefield, but also in homes, schools, factories, offices, and farmers’ fields throughout the nation itself. 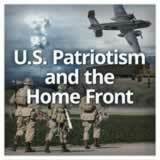 This is the home front—the efforts and contributions of people who do not directly fight. 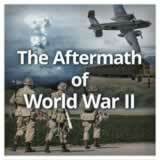 You’ll learn about the U.S. home front during World War II in this experience. Imagine that a global war is being fought today, but you aren’t in the military; perhaps you’re too young, or disabled, or a college student. 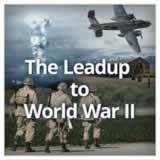 What activity might you do to assist the war effort in your position as a civilian in the United States? Write words or brief phrases. To write more than one activity, separate them with a comma, like this: take a test, go swimming. Invite students to say which home front activities on the cloud are most interesting to them and why. If students come up with additional ideas during discussion, ask them to add them to the cloud. 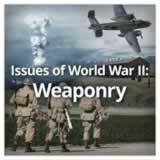 The Complete List of Learning Experiences in The United States and World War II Unit.